quote engines, sales tools, and more. Join AIM to get access to our full calendar of focused training webinars and in-person events. 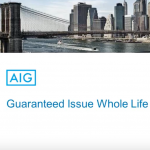 Join Paul Gonzales from AIG and learn about the details of this fantastic policy. 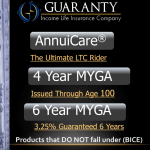 Chronic illness and terminal illness benefits are built in! Issues up to age 85! 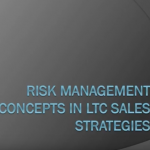 Find out how to master the Risk Management conversation with clients and how your clients concerns about it can impact your sales. 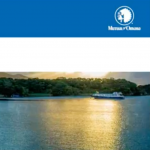 Join Dave Whelan and Mike Anderson for an inside look at how to maximize these two innovative solutions for underwriting relief in the LTCi marketplace. Get up to speed on Minnesota Life’s Hybrid 1-2 punch. 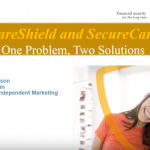 CareShield is simple and offers easy-to-manage continuous pay; SecureCare is a single pay option that looks like it will be a serious player in the market segment. 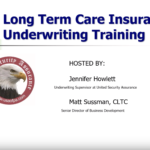 Join Mike Anderson and Dave Whelan for a refresher course on the brokerage LTC market’s biggest seller — Custom Care LTCi from Mutual of Omaha. 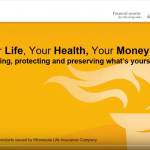 Join Kyle Wilson from Securian for a first look at the new Minnesota Life option to protect assets with guaranteed premiums, benefits and built-in ROP. 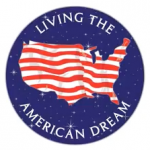 Join Mike Anderson and find out how you can help protect The American Dream. 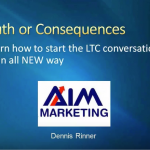 The LTC market matters, we’ll tell you how you can access and help more prospects than you will believe. 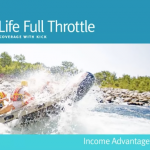 Join us and learn how to take advantage of GTL’s niche policies and add value to you client base while earning more commissions. 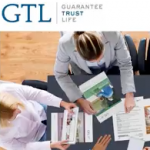 Guarantee Trust Life just introduced a new home health care policy. 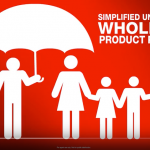 Simplified underwriting. The plan designs. 24/7 nurse hotline. 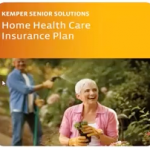 Mike Anderson and Dave Whelan will walk you through the Guaranteed Issue Kemper HHC policy. 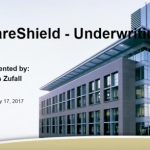 Join Chris Zufall from Securian for an inside look at underwriting timelines and process for CareShield. 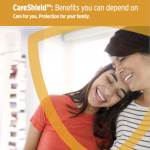 Join us for our Sales Concepts webinar for CareShield. 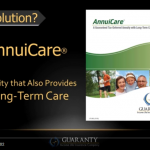 Get some great ideas about how to sell this new, refreshing solution to the long-term care problem. 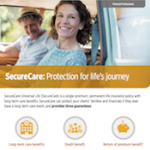 Take a look at Securian’s E-tools for the CareShield product including a look at the E-application process. Get some great sales ideas to make the most out of CareShield’s Simplified, Guaranteed sales opportunity. 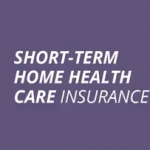 Learn about a new, refreshing approach to solving the long-term care problem. It is easy because it is simple and comes with guarantees. 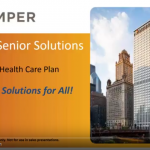 With the individual and group health market in turmoil, join us and learn how this new offering can be a game changer in your practice. 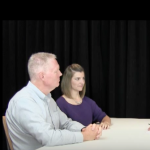 Greg Esposito from Guarantee Trust Life explains how to leverage their new critical illness policy into more sales. 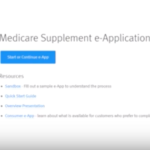 Watch this video for an in-depth tour of AIM’s Medicare supplement quoting tool. 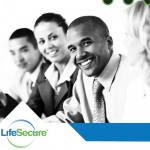 This powerful resource is absolutely free for agents who work with AIM. 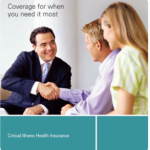 Rates are always accurate, no need to pack around outlines of coverage. 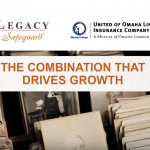 David Royer from Guarantee Issue Life Insurance Company (GILICO) explains how to leverage this linked long-term care solution with your clients. 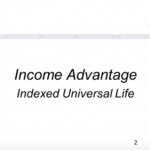 United of Omaha’s new Income Advantage IUL rocks. 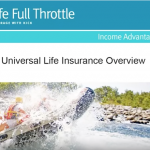 Join Sandy Pitre from United of Omaha and learn how leverage this powerful new offering. 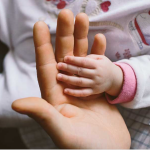 While most people don't like talking about end-of-life issues, it’s important for them to plan for a clearer tomorrow—that’s where you come in. 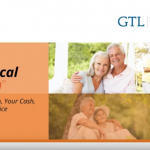 GTL just introduced a Critical Cash, an enhanced version of their popular Critical Care policy. 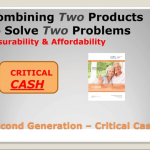 Join us and learn how to position this new offering with your clients and earn more money! 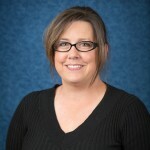 AIM and Sandy Pitre from Mutual of Omaha show you how to take advantage of this simple online application to make your job easier! 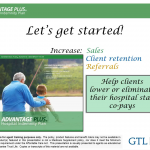 GTL’s Greg Esposito shows you how to leverage their hospital indemnity policy into more commission dollars in your pocket. 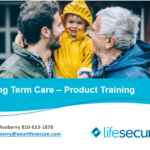 Sue Root from LifeSecure shows how to leverage one sale into multiple applications with LifeSecure's LTC Multi-life program! 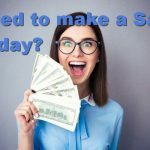 Earn more commissions using less paper! 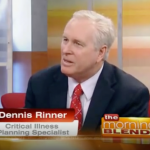 Dennis Rinner of American Independent Marketing discusses Critical Illness Insurance on the Morning Blend. 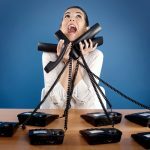 We get hands-on with our quoting software to share ideas on how you can dial down premiums and close more sales. 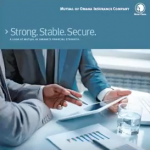 Get an insiders view of how to make the new Mutual LTC product the best possible fit for your client. 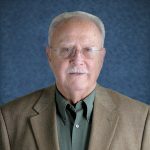 Join American General’s Bob Clancy for an in-depth overview of their critical illness policy. 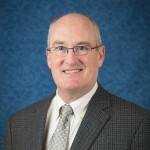 John Hennessey will walk you through a new way to think about positioning Mutual of Omaha’s MutualCare Solutions policies. 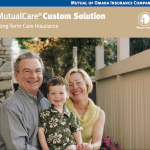 This policy will evolve with your clients over time like no other. 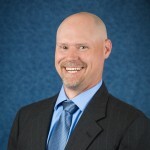 Dennis Rinner will teach you why a logic based LTC interview has higher close ratios than emotion based interviews. 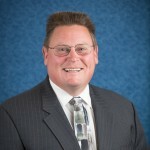 He will show how changing the paradigm gets prospects to raise their hands and want LTC. 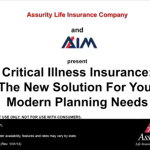 See how to leverage critical illness into more sales. 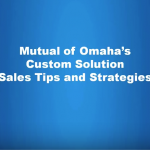 You will hear about key sales tactics that your clients will respond to. 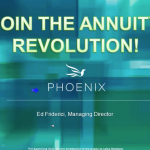 Learn more about the Personal Protection Choice Annuity and a recap of Phoenix’s most comprehensive product and program enhancement in their history! 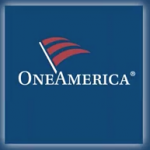 Evan White from One America shows how to leverage their suite of linked products and increase your sales volume and income. 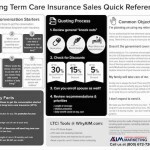 We've boiled down the key points of selling Long Term Care Insurance into this one page quick reference guide. 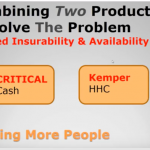 Great VIDEO that showcases that "CI" will be one of the most important insurance products for many years to come. 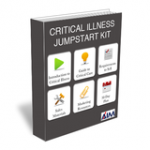 AIM had an article titled "How to Survive Critical Illness Financially" in this year's Kiplinger Magazine Retirement Guide. 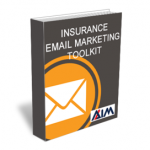 Get the tools you need to generate sales through email. 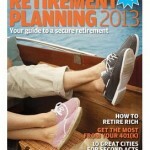 Planning guide for consumers produced by Kiplinger magazine. 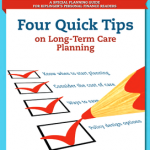 Focuses on four quick tips for LTCi planning. 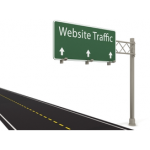 National marketing experts Jonas Roeser and Aaron Kassover show you 10 secrets to getting more leads from your website. 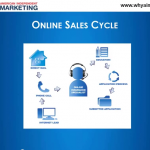 This presentation walks you through the components of the online sales and marketing funnel to help you learn how the process works and how to increase your sales. 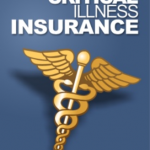 Critical Illness insurance presents you with a tremendous opportunity to help your existing clients, find new clients and increase your income. 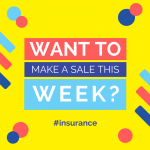 If you want to increase your sales (we know you do! 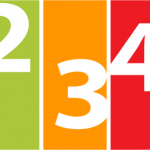 ), you want to take these simple steps to improve your local search rankings. 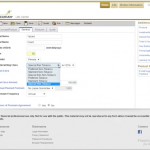 Working with AIM gives you access to our “Pending Application Status System”, or PASS. The system enables you to retrieve new business status in real time whenever you need it online or via email notifications. 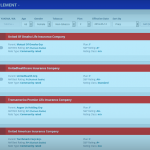 This simplifies tracking your new business activity especially when working with multiple carriers. 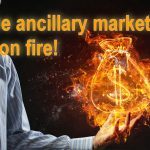 Want to increase sales? 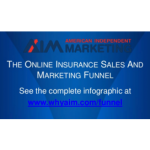 AIM's "Connected Agent" website platform is designed to do one thing: help you sell insurance. 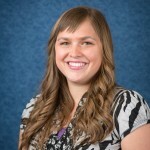 You get a complete online lead generation program, including a great website, content, and marketing campaigns. 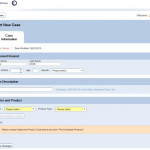 Use our comprehensive carrier form download library to quickly access the form you need. Filter by carrier, product, and state to quickly see the relevant files. 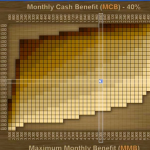 Get access to a powerful suite of Med Supp and LTCi quoting tools. 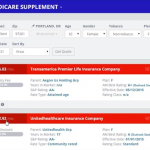 “Quick Quote” helps you quickly identify the most cost effective med supp solutions available making it easier to close sales fast. 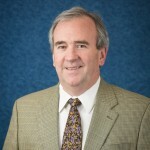 People when you need them. Technology when you don't. AIM is committed to your career success. 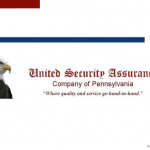 Our goal is to continually offer outstanding new programs and services that will help you build and protect your business. 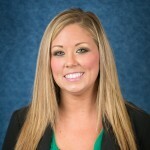 A great example is the development of one of the most competitive agent Errors & Omissions plans in the industry. 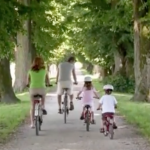 You may qualify for a reduced premium by placing your coverage with American Independent Marketing direct.